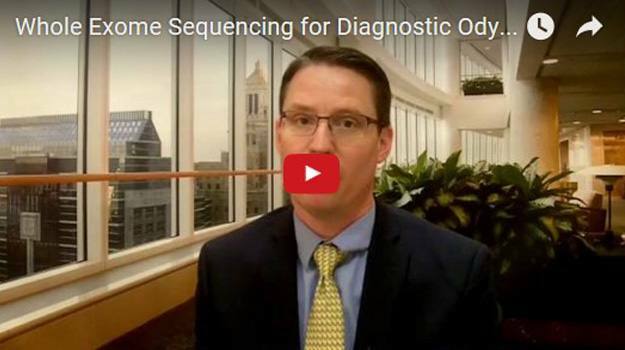 A new clinical study from the Mayo Clinic Center for Individualized Medicine shows that whole-exome sequencing (WES) could serve as a viable diagnostic approach for identifying rare inherited diseases and providing a resolution for patients on a diagnostic odyssey. WES is a laboratory process that determines, all at once, the entire unique DNA sequence (i.e., the inherited genetic material) of an organism’s genome. WES provides patients with rare genetic conditions who have been evaluated by multiple providers over, sometimes, years, without a diagnosis (i.e., a diagnostic odyssey) an opportunity to get answers. 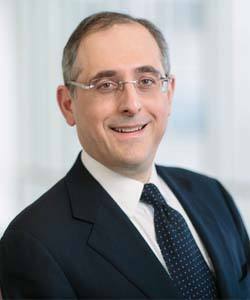 “The significant diagnostic yield, moderate cost and notable health marketplace acceptance of whole-exome sequencing for clinical purposes, compared with conventional genetic testing, make it a rational diagnostic approach for patients on a diagnostic odyssey,” says lead author Konstantinos Lazaridis, M.D., director of the Mayo Individualized Medicine Clinic and primary investigator of the multisite study published in Mayo Clinic Proceedings. During the study, WES testing was provided by Mayo Clinic physicians to patients on a diagnostic odyssey. DNA specimens of the person seeking medical attention and other affected or unaffected relatives were submitted to clinical WES laboratories. 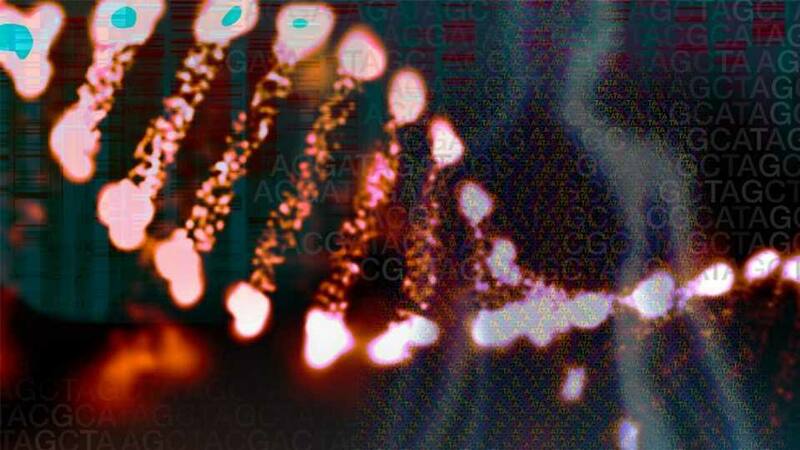 Researchers aimed at discovering genetic variant(s) that cause or contribute to the patient’s disease, permitting resolution of the diagnostic odyssey and potentially leading to better patient management through disease-specific treatments. In the first 18 consecutive months, the Individualized Medicine Clinic received 82 consult requests for patients on a diagnostic odyssey. Seven of the cases were deferred, and 75 cases were approved to proceed with WES. Individualized Medicine Clinic genomic counselors met with 71 patients; 51 patients submitted specimens for clinical WES testing and received the results. Ultimately, 15 patients or 29 percent resulted in a diagnosis based on WES findings. “The success rate of 29 percent, which is about twofold higher of conventional genetic evaluations for such patients, makes WES a reasonable diagnostic approach for patients on a diagnostic odyssey” says Dr. Lazaridis. The health care marketplace also appears to be accepting WES as a valued diagnostic approach for these patients— a concern of any new genetic test. Despite the slightly higher cost of testing ($8,000 average cost per patient), WES is poised to show increasing value due to the continued decline in sequencing costs. Of interest, the study reported that Medicaid supported 27 percent of the patients, and 38 percent of patients received complete or partial insurance coverage. There was a relatively low rate (15 percent) of known insurance denial for WES testing. Six patients or 12 percent were fully covered by commercial insurance, and the average out-of-pocket expense of the 4 out of 18 patients with partial insurance coverage for which data was provided was approximately 13 percent of the cost of testing. These findings support that insurance coverage exists for clinical WES testing and is similar to that of established genetic tests. “With several million patients in the U.S. suffering from a rare or an undiagnosed disease, WES is emerging as a promising, affordable test that could enhance clinical care by improving diagnosis of such patients. I envision, one day WES will be performed on every newborn and every patient who needs medical care” says Dr. Lazaridis. Drs. Konstantinos Lazaridis, Matthew Ferber, and Eric Klee, from the Individualized Medicine Clinic at Mayo Clinic in Rochester, share results published in the March 2016 issue of Mayo Clinic Proceedings, of their foray into the use of whole-exome sequencing to diagnose rare and difficult diseases, which in turn offers future promise for individual diagnostic sources for the general patient population. The research was funded by the Mayo Clinic Center for Individualized Medicine, James L. and Donna K. Barksdale, Everett J. and Jane M. Hauck, William O. Lund Jr., and the Natalie C. Lund Charitable Foundation.